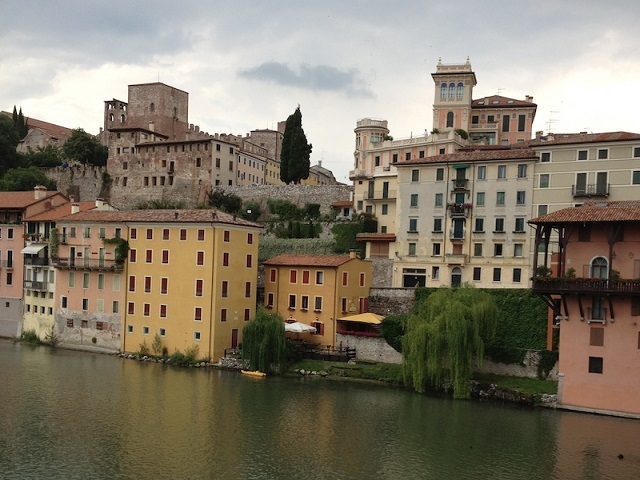 Bassano del Grappa is another of Italy’s often overlooked gems. Straddling the River Brenta and only an hour train ride from Padua or (approximately) two hours from Verona or Venice, it is certainly worth a day trip. Enjoy Bassano’s medieval character and discover the rich and proud history of this appealing Alpine town as you follow winding cobblestone pathways that lead you to the historic Ponte degli Alpini bridge. The distinctive covered wooden bridge, which was designed in 1569 by Palladio and is central to Bassano’s heritage, has had many lives! Destroyed and rebuilt many times, it has endured and played a significant historical role over the centuries. The bridge is revered by the Alpini, Italy’s distinguished Alpine fighting force. who often return to remember their days as Alpine soldiers. It was the Alpini who rebuilt the bridge in 1948 after World War II and they often return to remember their heroic days as Alpine soldiers. A must is a visit to the Museo degli Alpini which is located just across from Ponte degli Alpini. Believe it or not the museum is located downstairs in a bar of the same name. It’s is a proud reminder of and testimony to the story of the town and the bravery of the Alpini soldiers. Standing on Ponte degli Alpini we can admire the panoramic view in all directions. Now a peaceful and idyllic vista, it’s hard to imagine that many battles were fought here. One only has to see the visible bullet holes in nearby buildings to be reminded of the past. Along with inviting restaurants and shops you will of course have opportunities to sample grappa. We chose Nardini Tavern, on the other side of the bridge, for our grappa tasting. (You didn’t think I was going to leave without trying grappa, did you?) And what better place than Nardini’s who has been producing grappa since 1779, and is still run today by seventh generation family members? For the uninitiated, grappa is a liquor distilled from pomace, the discarded grape seeds, stalks and stems. The pomace, which is graspa in Italian, is actually the namesake of the town and not the liquor itself. Grappa is extremely popular in Italy and is enjoyed primarily as a digestivo or after-dinner drink to aid in digestion. You can also enjoy grappa when it is added to espresso for a caffè corretto. Although it’s never been a personal favorite, when in Rome I could hardly come to Bassano del Grappa and not try grappa, could I? After all, if the soldiers brought it to the front lines to warm and comfort them, the least I can do is to brave a tasting in their honor (but only 3, thank you very much!). If you’ve tried it, you know that grappa is deceptively innocent in appearance and that it packs a punch. With an alcohol content that can range from ranging from 40 -80%+, our tastings included the traditional clear to amber Riserva. I must say I was pleasantly surprised and warmed by this Italian favorite. And I was definitely warmed by Bassano del Grappa, a friendly and historic gem of the Veneto. 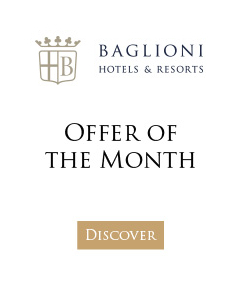 Concierge tip: Take advantage of the various special offers available at Luna Hotel Baglioni when booking your stay in Venice, just a little over an hour’s drive from Bassano del Grappa.